Jade Tinney is Head of our Corporate and Commercial department, based in Norwich but also working from our North Walsham and Sheringham offices. Jade is "highly recommended for company acquisitions and disposals, management buy outs, shareholders' and partnership agreements, corporate restructuring and lending, contract reviews and terms and conditions" (Legal 500 Directory 2018). Jade can also assist with a range of commercial property matters and is a member of our Charity Team, acting for a number of national and local charities and not-for-profit organisations. 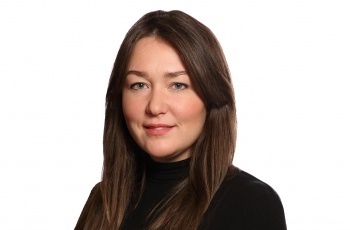 Jade joined the firm in 2011 and qualified as a solicitor in March 2015. She often speaks at our free legal information seminars and provides important legal updates to community-based business groups. She enjoys networking and is the firm's representative at breakfast networking group, Breakaway. Outside of work Jade's interests include travelling, watching live music and renovating her Victorian house. Jade received praise from her clients in the Legal 500 directory (2017), which commented that she is "pleasant, helpful and efficient" and is valued by her clients for her "patient persistence and amazing ability to work all hours".